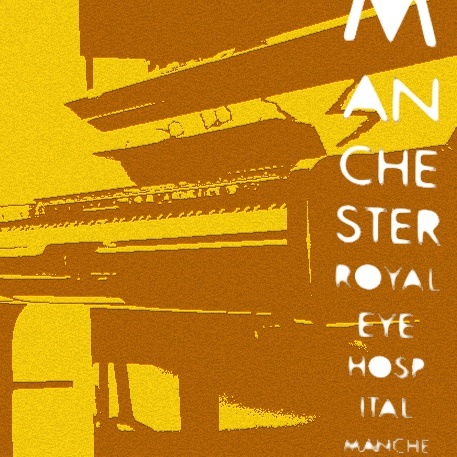 Join Expert musicians from the Youth Music Funded programme at Central Manchester University Hospitals, working alongside RNCM Music for Health students bringing you a sensory sound exploration in the atrium space of the Royal Eye Hospital in Manchester on Saturday 12 October from 5pm as part of Manchester Weekender. Experience the hospital through music that responds to you and the hospital environment! 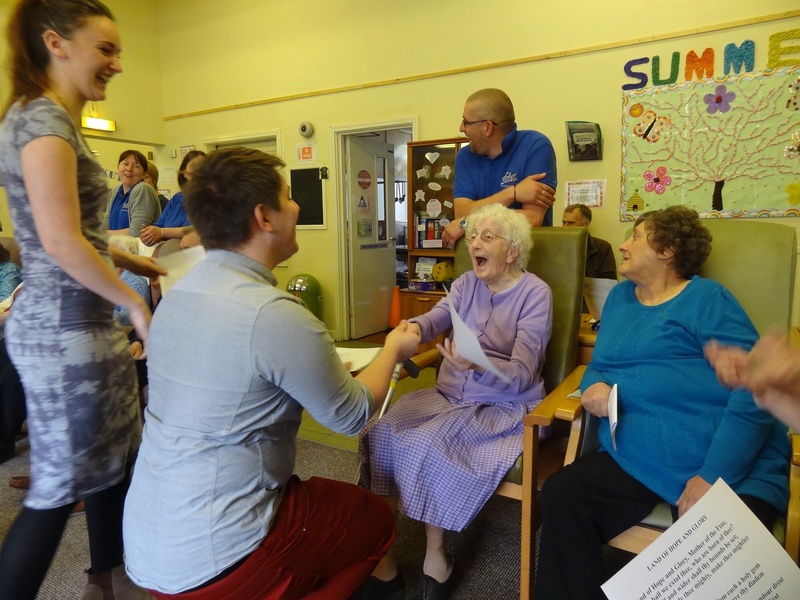 RNCM’s Student Union has been working with Music for Health who have trained several volunteers for work in care settings, including a performance in a day care centre in Gorton for older people in May (pictured above – students Dan and Anna lead a rousing singalong). The collaboration is set to continue this year, complementing the annual module of training delivered by LIME Music for Health to around 12 undergraduate students and 2 postgraduate students. This training module is in its 6th year and we continue to learn so much about the impact of working in healthcare on music students and how it changes their attitudes towards music and transforms their playing, helping them to become more open, flexible and empathetic.